IdentifyUS partners with laboratory testing facilities to perform assays for detecting diverse infections in ticks. 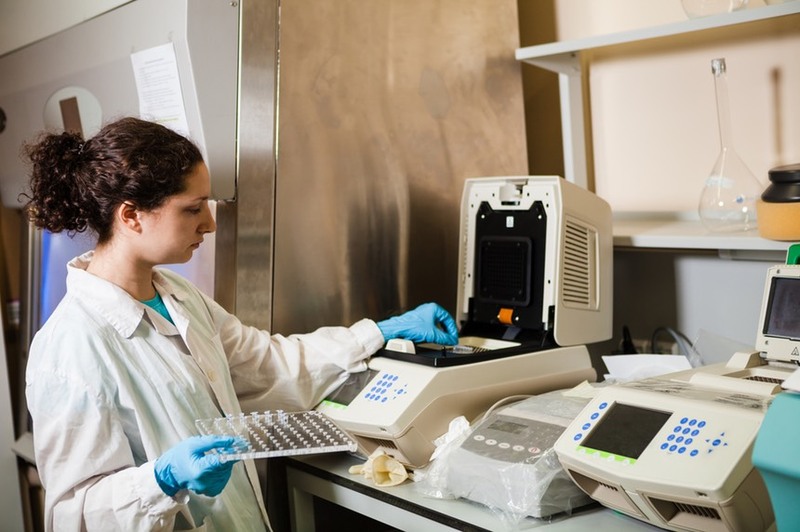 Our lab partners use highly specific and sensitive DNA detection methods (qPCR) to detect the presence of disease-causing microbes (pathogens) in ticks. It is very important to realize that these tests are not meant for diagnosing disease, as medical diagnosis is a task best left to a medical doctor. Whereas IdentifyUS advises many medical professionals, we do not diagnose or practice human or veterinary medicine. To diagnose disease, always consult with a health care professional. We do help to assess risk of exposure by providing a rapid, expert identification of the type and characteristics of any tick you might acquire. The information we provide is meant to better inform you and your health care professional. Ticks can be sent to us in most any condition and within virtually any kind of shipping container. Refer to our tips on specimen preparation for more information on packaging and sending your tick to IdentifyUS. Once your tick arrives, we examine it with a microscope to identify it to the species level. 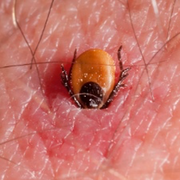 There are many kinds of ticks you may encounter, though only relatively few actually bite people or pets. Only certain ticks can transmit the microbe that causes Lyme disease. Some species of ticks transmit other kinds of infections. Correctly identifying the tick species dramatically narrows the list of disease associations to consider. We then identify the stage of development of the tick. This is an important assessment because the youngest stage (larva) of most ticks cannot transmit the agent of Lyme disease or most tick-borne infections. Older ticks (nymphs and adults) tend to pose a far greater risk. Next, we estimate the duration of feeding by the tick. This, too, is important, as many tick-borne infections tend not to be transmitted until the tick has been attached and feeding for a certain number of days. What does this mean in practice? If you submit a larval deer tick, then there’d be very little justification to have it tested for the agent of Lyme disease. Similarly, a nymph or adult of that same species would not warrant testing unless it had fed for nearly two or more days. We’ll advise you of our findings so you can then decide how to proceed. If you then wish to have a tick tested for any of the pathogens of relevance, we will ask you to complete an online test authorization form and complete payment for those additional services. After testing has been completed, you’ll receive an electronic reply with the results. We encourage you to print that report and to share it with your doctor. You can create an online account with IdentifyUS to participate in real-time, confidential discussions about your case. IdentifyUS is a one-stop shop for expert advice and tick test information. No other online resource connects you to a professional entomologist in this manner or provides such fast turnaround times on specimen examination and testing. Note that we encourage our clients to submit digital images of their ticks via our secure online Specimen Evaluation Form as a first step. In many cases this is sufficient for us to render an evaluation quickly, with assurance and without the delay imposed by shipping the actual physical specimen in question. If you then wish to have the actual tick tested, we will have you complete the authorization form for pathogen testing. In that case, we’ll advise you to send the tick directly to our partner lab, or if we already have the tick in our possession, we will send it there for you. Once you submit that form online, you’ll be able to print a mailing label along with your completed form and instructions for shipping the tick specimen to our nearest lab partner. You should be diligent in enclosing a paper copy with the results of our initial Specimen Evaluation. We use that specimen ID and tick species information to cross-reference your physical specimen with the lab's disease pathogen testing results.